Here’s the thing. 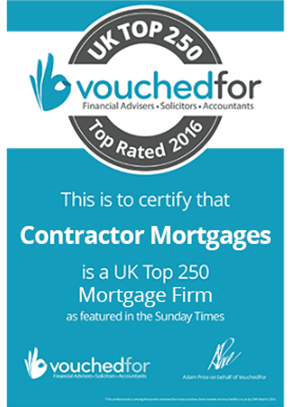 There are many well-known banks and building societies that offer genuine contractor mortgages. What do I mean by ‘genuine’? That means they work out what you can afford based on your contract rate, not your accounts. I know. You’ve already tried to get a mortgage using your contract and got nowhere. I’m not surprised. All a lender’s offered you so far is a mortgage based on your salary and dividend drawings. As a contractor, you keep those low for tax planning purposes, so that figure won’t amount to an awful lot. Is it worth trying to get a mortgage using my contract? So here you are, a skilled professional earning top dollar, but for what? All that experience under your belt. It counts for nothing. All that effort you’ve put into creating your business, maybe even your brand. It counts for nothing. All that retained profit in your company that the High Street can’t even see, let alone use. It counts for nothing. And, yep. All that time and effort: wasted. You’re no closer to getting onto the property ladder now than at the beginning of your mortgage quest. What lenders have offered you so far, using your accounts, are self-employed mortgages. Yes, you may qualify. But if you’re a limited company contractor, there’s a better way to buy your home. So what is the problem? Is it you? Don’t you earn enough? Well, no, it’s not you. And yes. As a contractor, you’re likely to earn more than enough for a competitive mortgage. The problem is that you use a limited company as your payment vehicle. This makes you a bit of a quandary, unknown territory for most advisors. They can see that you earn a respectable hourly or daily rate. But their question is then this: why do you ‘pick up’ so little? And for most advisors, it’s your ‘take home’ that they try to use as the base of your affordability. So even if they did offer you a mortgage, it would in no way reflect what you can afford. It’s this anomaly that scuppers your chances of mortgage success on the High Street. Of those lenders who do offer mortgages for contractors, most don’t over a front desk in branch. Where can contractors go to get a mortgage, then? Okay. We’ve established that the High Street isn’t the best place for contractor-friendly mortgage lenders. Agreed? Great. We can move on. but you need to prove your capacity to afford a mortgage that reflects your income. This situation gets complicated even further. Limited company payment structures are minefields if you’re anything but an accountant. Underwriters don’t want to have to wade through reams of accounts to gauge affordability. It’s at this point contractors need a specialist mortgage broker. A broker is the interpreter, bridging the gap between the two poles. First, brokers are familiar with contractors, how they work and their payment structures. But that alone is not enough. They also need to know how to present your mortgage application so it highlights your best asset. In this case, the ace up your sleeve is your top line contract income. Once presented in this manner, an underwriter can make a mortgage offer with confidence. Once that offer is on the table, the process fair zips along. How much can I borrow using my day rate? 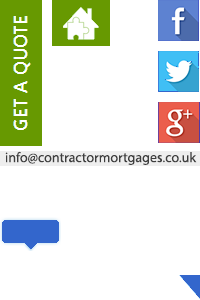 We’ve taken the liberty of building a contractor mortgage calculator for this site. It will give you an estimate of how much you can borrow on your day rate in just a few clicks. It first takes your day rate and ‘annualises’ it. This is common practice and the base sum for all mortgages for contractors. Then it will use the generic multiplier to work out how much a lender may offer you. I must stress, the calculator is only a guide. If you’re further along the road to buying your home, you need a firm offer. Or at least a decision in principle, but for that we’d need to speak to you. But let’s not run before we can walk, eh? £80,500 per year x 4½ multiplier = £362,250 potential borrowing. * the most common figures used in contractor-friendly lenders’ affordability criteria. There’s no one policy that governs all banks and building societies. Each has their own contractor lending criteria, assessing risk according to their own policies. What types of mortgages can contractors get? The main difference between normal and contractor mortgages is the underwriting process. Once you overcome that barrier, you’ll find yourself on familiar territory. mortgage rental property for supplementary income and/or long term investment. We’ll use your contract and CV to ensure that you have the credentials in your field. As you work on short-term contracts, lenders want assurance of employability and competence. Your bank statements will prove that you’re achieving your contract rate. Your ID will ensure that you are who you say you are and facilitate credit checks. As there’s so little paperwork, contractor mortgages often complete within 4-6 weeks. Sometimes even sooner than that. Our advisors can often match you with the right lender from these scant documents alone. This means we can offer a decision in principle with confidence within 24 hours of you contacting us. This could save unnecessary credit checks, protecting the integrity of your credit file. It will also save you time traipsing the High Street, which would deliver little or no reward. Competitive mortgages based on your contract rate do exist. You’ve just got to look in the right place. What can I say? Look no further; all the help you need is right here or at the end of the phone for you.